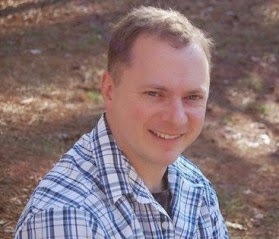 Le&ndra Wallace: Guest Post: Extraordinary Sam & the Four "Baddies"
Guest Post: Extraordinary Sam & the Four "Baddies"
Please welcome Kevin A. Springer as he discusses the four main bad guys in his MG novel, EXTRAORDINARY SAM AND THE ADVENTURER'S GUILD. In Extraordinary Sam, twelve year-old Sam Miller is thrust into the middle of an adventure in the magical, and quite dangerous realm, Ashling. In order to survive, he must survive confrontations with four “baddies” - deadly pirates, savage warriors, giant spiders and a fire-wielding tyrant named Cormac. First up, the deadly pirates – In Extraordinary Sam, discovers he is now the captain of a crew of pirates. At first, this seems like a lot of fun, but when Sam realizes he is being hunted by dreaded Captain Redbeard and his motley crew, that all changes. Redbeard is an imposing figure that would strike fear into the manliest of men who sail the seas, so what does Sam think? His first reaction is that this bad guy is the coolest looking pirate he has ever seen, way cooler than any movie pirate. Then reality sinks in as he notices the danger he is in. You must read the book to see how Sam makes it out of this jam! The savage warriors – When writing the scene with the island warriors, the Mala (name derived from the Spanish word for bad), I pictured the old Tarzan movies in my head, but on steroids (also less stereotypically insensitive). These brave warriors are fierce, strong, nimble and extremely accurate with a dart gun. When developing the character of their chief, I imagined the physicality of a professional wrestler – heavily tattooed, muscular, and tall. The personality of this imposing figure is that of a man chosen by the gods to rule the tribe, yet with a deep insecurity that would cause him to kill any who question him. The look in this leader’s eyes can make most men wet themselves. Giant man-eating spiders – Sam doesn’t deny he suffers from arachnophobia. Small spiders cause him to freak out. So why not throw in a bunch of big spiders to stand in his way? Along his journey, our hero comes face to face with hundreds of spiders the size of a small dog. To raise the stakes, I decided there needs to be an even bigger spider to turn Sam’s fear up to eleven. How will the Extraordinary react to his worst nightmare? You’re going to have to read to find out! Fire-wielding tyrant – The baddest of the baddies is the ruler of Ashling, Lord Cormac. He has a fiery temper and magical ability to match. Through fear and intimidation, Cormac has even the deadly pirates, fierce warriors, and giant spiders bowing down to him. Only the Adventurers’ Guild and Sam stand in his way. Kevin A. Springer grew up on a farm in Maryland where his imagination knew no limits. As a husband and father, he reconnected with his creativity while telling bedtime stories to his two young boys. 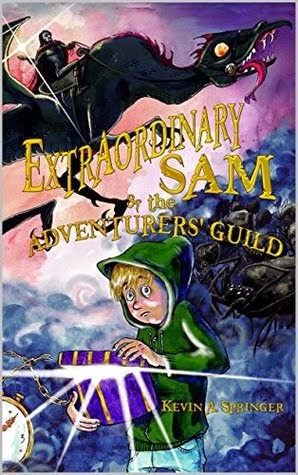 One such story evolved into his debut book, Extraordinary Sam & the Adventurers’ Guild (March 2015, Bookfish Books LLC. ), which tells the tale of an ordinary boy who finds a hatbox and discovers a world of adventure and self-discovery. Kevin is a self-proclaimed dreamer and a kid at heart. When he’s not writing or reading, he is coaching soccer or helping with homework. He lives outside of Atlanta with his wife, two extraordinary boys, and dogs. 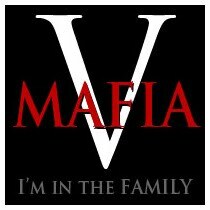 He is also a co-founder of the Middle Grade Mafia blog. Sounds like Sam has his work cut out for him. Thank you, Leandra. I appreciate you sharing my book with your readers. It was a fun post to write. I have to say that spider pic kinda freaked me out! Love the sound of your book kevin. omg this cover is everything! love it! That has all the elements of a fun pirate story! I wouldn't want to face the man eating spiders though. I wonder how many books have been spawned by fathers telling their children bedtime stories. I think Kevin keeps excellent company. Congratulations on the new book. It sounds spine-chillingly thrilling. Bad guys are fun - why hasn't it ever ocurred to me to use four at once? Ha! Sounds like a fun adventure for Sam there. That spider made me shudder though. Gah. Hate those buggers. Ack! That spider is going to haunt my nightmares. THE DARKNESS WITHIN Trailer Reveal! Plus, Masks.